If you know where to look, you can find an enormous amount of useful information, including legislation and official documents that will assist you with your building projects. We have accessed some of these for you and you can download them from this page here or on our downloads page “download-regulations”. Just remember that if you are looking for South African National Standards (SANS) or standards prepared by the International Standards Authority (ISO) you will need to visit an South African Bureau of Standards (SABS) office, or buy the standards from their online store. If you simply want to read through standards, you can do so at your leisure in a library at one of the SABS offices. Their head office is in Groenkloof, Pretoria, and they have regional offices in Cape Town, Port Elizabeth, East London, Durban and Olifantsfontein, all of which are open between 8 am and 4 pm. The National Building Regulations and Building Standards Act (No. 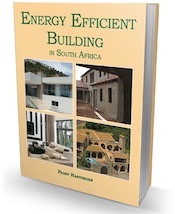 103 of 1977) forms the basis of how buildings in South Africa should be constructed and developed to suit human habitation. The legislation became enforceable as law in September 1985, and two years later were published by the SABS as part of the original Code of Practice for The application of the National Building Regulations, SABS 0400-1987. If you study the legislation, you will see that its intention was to “provide for the promotion of uniformity in the law relating to the erection of buildings in the areas of jurisdiction of local authorities; for the prescribing of building standards; and for matters connected therewith”. The Act that governs the National Building Regulations has been amended several times, most recently in 2008 when some major changes were made. In 1990, the SABS published its first revision of its code of practice, SABS 0400-1990, which later became known as SANS 10400-1990. While these standards are not free (you can only purchase them from the SABS), the 1990 version of this standard is now available FREE here. In each of the parts featured on this website, we have included a short commentary on how these have changed since 1990; some parts have changed little, others have been radically altered. To update the building regulations that are published in this document you will need the 2008 amendment to the National Building Regulations. Note that when you purchase the individual parts of the building regulations from the SABS, they will incorporate the updated legislation in full. Previously, the SABS 0400-1990 document was one single publication. Draft proposals relating to environmental sustainability and energy usage in buildings, available HERE; SANS10400 PART X: Environmental sustainability and SANS10400 PART XA: Energy usage in buildings DSS3. Download the amendments to the SANS10400 PART X and PART XA of 9th September 2011 here. Even though the “new” building regulations have been mandatory since October 2008, mid-2011 the SABS was still progressively updating its lengthy code of practice. At last they are complete! There are 21 parts that currently comprise SANS 10400. These deal with compliance, and they are available as stand-alone units from the SABS – each individually priced. See the SABS online store for details. Two additional parts of the legislation, Part E: Demolition Work, and Part U: Refuse Disposal, do not have “deemed-to-satisfy” codes of practice. There are a handful of other documents that are available FREE from the SABS. Appropriate Development of Infrastructure on Dolomite: Guidelines for Consultants. Published in 2003, this lengthy 97-page document contains some important background information on dolomite land, as well as departmental requirements for developing any form of building site on dolomite. Guide for Architects Concerning Drainage Water Supply and Storm-Water Drainage. Published in 2000, this 28-page document defines a good cross-section of terms relating to water supply and drainage. Installation methods are covered briefly, and there is a useful table for sizing gutters and downpipes in relation to the size of the roof of any building. Drainage Details. Although published some time ago, in 1998, this 47-page document has some useful drawings, some of which show correct and incorrect methods of installing drains. Even though a qualified plumber must, by law, install your drains, this primarily visual guide will provide some insight into correct ways of constructing drains, installing gullies and so on. Standard Electrical, Mechanical and Architectural Guideline for the Design of Accessible Buildings (Facilities for Disabled Persons). Published in 2001, this 52-page document covers general design elements (including changes in level and wheelchair turning space requirements), general sit elements (including parking requirements), accessible routes (from walking surface and stairways to handrails and lifts), plumbing facilities, communication elements, and some built-in furnishing possibilities. Hardware Sample List. A 24-page long document that was published in 1995, this is basically a notated description of master keys and locks, bolts, door and other types of hardware. A “Norms Calculator” for quantity surveyors. This is an Excel tool that has been customised for quantity surveyors to estimate Department of Public Works projects. The categories could be easily changed to adapt it for use estimating and costing a home build. Can my neighbour house domestic and other staff in “Wendy” house units that are located about 2m from my boundary? These do not have any electricity or ablutions for their use. Not legally. In any case they need plans for these structures. Afternoon I would like to know how to go about building a log home where can I see the specifications that I need to build the house according to? There are no separate specifications for different types of houses. All the relevant building regs apply (foundations, structural design etc) and of course anything relating to building with timber… you’ll find this in sections like walls, floors, roofs etc. We live in a complex. In our private garden we have a jacuzzi in the one corner. We want to put up a carport structure 2.6 x 2.6 for shade over the jacuzzi. I know we need the approval from our body corporate, but do we need plans for such a small carport? A pergola! No you don’t need plans though strictly speaking you do need council approval. Hi Penny – maybe a silly question: the SANS provides, for example, the required thickness of the layers on a thatch roof. Now, if I am purchasing a house, the building plans state the roof is according to SANS 10407. Does this mean that the roof was originally installed as per the SANS 10407 regulations, or that it is currently complying to the SANS 10407 regulation? Thanks. If that is what the plan states it means that the roof should have been done in compliance with SANS 10407 – it’s never safe to assume it was checked. Since thatch does deteriorate over time, it may not comply at this time. I have been advised that i need to rezone my property in order to extend my lounge as i am only allowed to build on 25% of my land. If the local authority has told you this then that is what you will have to do. If not, contact them and check. Are there currently any building regulations that would cover “Shipping Container Homes” in the national building regulations. Most of the National Building Regulations will apply. You do have the option of getting an Agrement Certificate as Penny suggested. (time consuming, costly and big effort because you’d have to erect your structure at the CSIR and allow them to test it. This will limit the certificate you gain in the process because if you change one window you will void the certification) In my opinion, you also have the option of asking your professional team to accept the responsibility of the performance of the building (according to AZ4 of the regulations), which would mean that they would have to prove that their solutions are better than the minimum standards laid out in the regulations. If you wait a few more months, this method is proposed to be the primary method on which the new act is based. It is intended to be legislated in August this year, which means the current act will be revoked. The section of the NBR that covers minor building work does not cover storage of petroleum gas, so unless your council gives you a waiver, then you need plans. please kindly assist me, i am a conference producer who is looking for an expert who can assist me facilitate a two-day workshop on Building Condition Assessment. If you know an expert in this field kindly advice or provide me wt their name and contact details. Please advise ,does a property owner have any say regarding construction in their nextdoor neighbours property that affects his/her livings space and access to natural sunlight? I will like to transform my garage into a duning room. The garage wall is directly boarded with my neibough. Is it permited to transform the garage in question into a duning room? What part the regulation can i consult? You need plans to do this since you are changing the function of the garage.